A higher minimum wage, union representation and investments in education produce growth and productivity in local and state economies that tax cuts never deliver. Editor’s Note: This piece by Colin Gordon, senior research consultant at the Iowa Policy Project, ran as a guest opinion in The Des Moines Register. Hear Colin Gordon’s Sept. 7 interview on Michael Devine’s “Devine Intervention program on KVFD-AM 1400 Fort Dodge. Labor Day is always a good time to take stock of the state of working Iowa. Patterns of employment, job creation, and wage and income growth across the Iowa economy are telling — and disappointing. This long-term economic pattern combines with the most disheartening legislative changes for working families in the lifetimes of most Iowans. The year 2017 poses great challenges to Iowans’ economic security, let alone opportunity for those coming to, serving in or retiring from the job market. • Recovery is elusive. The Great Recession is over, but the national and Iowa economies are still struggling to recover. While Iowa regained its pre-recession threshold of jobs in June 2013, our economy and population have continued to grow — leaving us a jobs deficit of 34,000 jobs as of July. While the unemployment rate has come back down to a healthy 3.2 percent, the labor force participation rate is still well below its peak and rates of underemployment and long-term unemployment are still higher than they were before the financial crisis hit in 2007. • Despite job gains, we have fewer good jobs. Counting jobs lost or added is important, but so is the quality of those jobs. Since the 1970s, Iowa has shed many good jobs in sectors like manufacturing, and replaced too many of them with lower-wage service jobs. But the real damage has been done by the collapse of security and job quality within sectors and occupations. We have traded good jobs for bad jobs, due to economic shifts, loss of union representation, lax enforcement of labor standards, and alarming growth in contingent work relationships. • We are treading water. Wage growth is anemic for all but the highest earners, underscoring both low job quality. 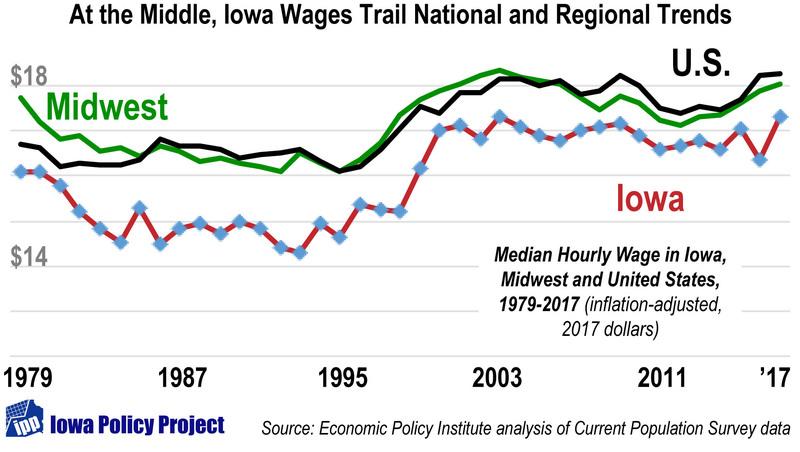 In Iowa, the median wage in inflation adjusted dollars inched up less than 1 percent, across the last generation (since 1979). The constraints on wage growth are mostly political: a weak commitment to full employment, the declining real value of the minimum wage, and loss of voice and bargaining power with the loss of union representation. • We are choosing the wrong policies at the wrong time. The last year in state and national politics has only made things worse. The Trump Administration has moved to roll back both the substance and enforcement of key labor standards, and trade, tax, and financial policies have lavished the economy’s rewards on the highest earners. In Iowa, the legislative fusillade of the last session took aim at precisely the policies — including public sector collective bargaining and local minimum wage initiatives — that were helping to contain the damage. Recent experience across the states offers us a good sense of what works and what doesn’t. A higher minimum wage lifts families out of poverty with no decrease in employment or economic growth. Union representation and collective bargaining offer a robust defense against income inequality and the erosion of job quality. Investments in education produce growth and productivity in local and state economies that tax cuts never deliver. When states ignore these facts — as Kansas and Wisconsin have — they undermine the prosperity, security and mobility of their citizens. The high road to economic growth and worker security is the better course for Iowa. 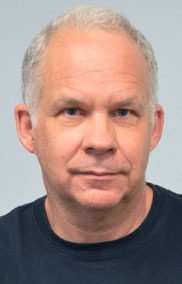 Colin Gordon is a professor of history at the University of Iowa and senior research consultant at the nonpartisan Iowa Policy Project in Iowa City. He is the author of reports in IPP’s “State of Working Iowa” series. Contact: cgordonipp@gmail.com. New analysis from the Economic Policy Institute illustrates just how much we underestimate the impact of inaction on the minimum wage when we talk of it being “stuck,” “frozen,” or “held down,” at $7.25. In reality, as EPI’s David Cooper shows, the wage actually declines year by year, because its buying power doesn’t keep pace with inflation. The $7.25 national minimum wage that took effect in 2009 would be $8.29 in today’s dollars. Put another way, the value of the minimum wage has declined 12.5 percent since Congress last raised it. For Iowa, the situation is even worse, because the Iowa Legislature passed and Governor Chet Culver signed a $7.25 minimum wage that took effect a year and a half before the national increase. 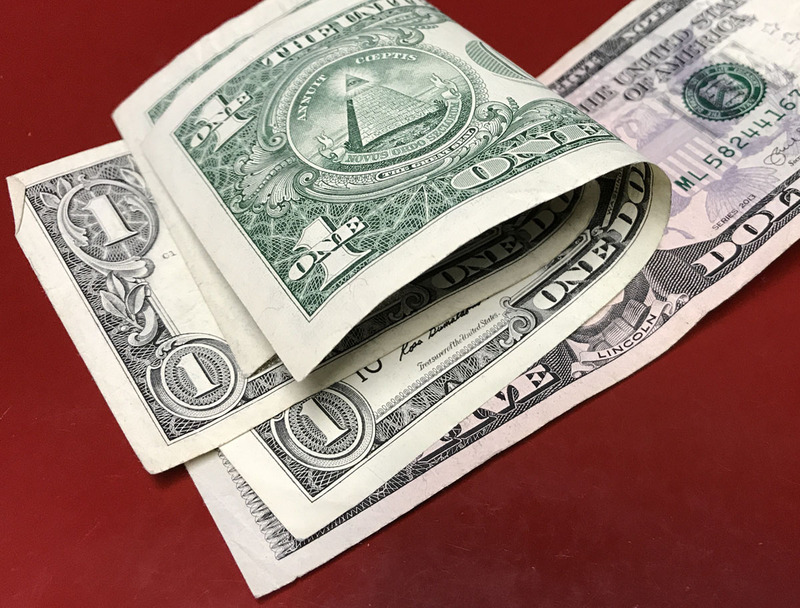 When the Legislature returns in January, it will have been 10 years since the last minimum-wage increase, while costs to families have kept rising. 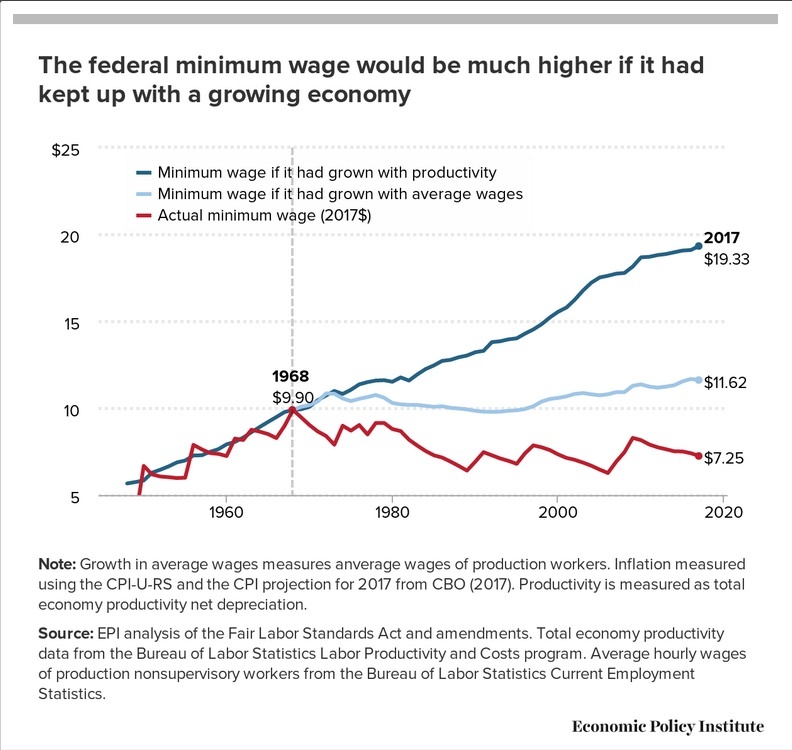 EPI also points out that at its high point in 1968, the federal minimum wage was equal to $9.90 in today’s dollars. 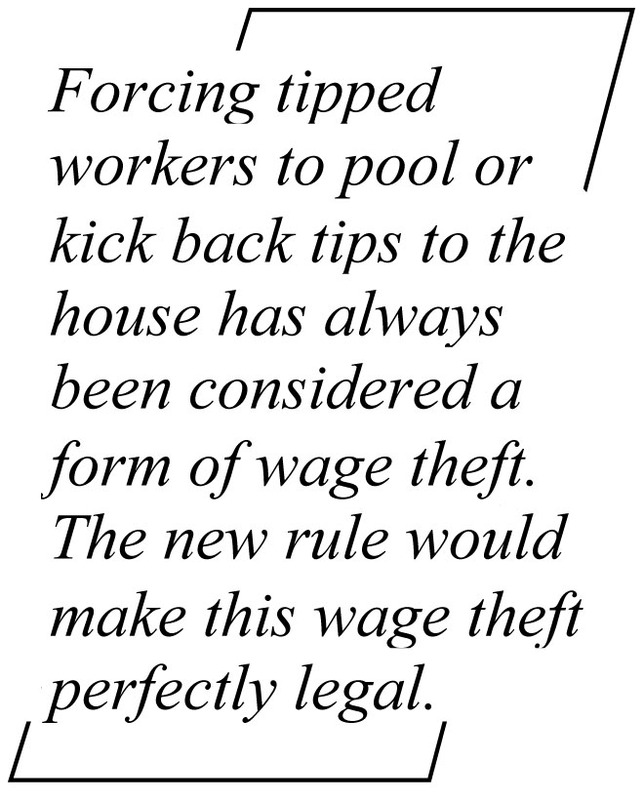 Tie it to increases in average wages, and the figure is $11.62. Tie it to productivity, and the figure is $19.33. It seems settled in the current political environment that our minimum wage is stuck — there’s that word — at $7.25. There is no movement in either Des Moines or Washington to raise it, even though 29 states currently are above that level, including all but Wisconsin among our neighbors. In fact, the state of Iowa forced repeal of local minimum wages where counties and cities demonstrated leadership that our legislative leaders could not, as those state leaders pandered to ideological myths and political talking points from an entrenched and bullying business lobby. A $7.25 minimum wage is indefensible. Businesses paying at or near that wage benefit from the economy that taxpayers support through public services, not the least of which are law enforcement, fire protection and streets, let alone an educated work force. Yet they insist that we ask nothing in return, while their workers toil at wages so low they need other public supports — in food, health care, housing and energy assistance, all threatened by the current administration in Washington — just to keep their families going. Think you’re done hearing about the minimum wage? Not if we can help it. Iowans could take a lesson from leaders in Oregon, who had the courage to look at their residents’ economic challenges. Just repealing local minimums does not meet that test of leadership. Those concerned about a “patchwork” or “hodgepodge” of minimum wage laws across Iowa might want to take a look west — far west — to Oregon. 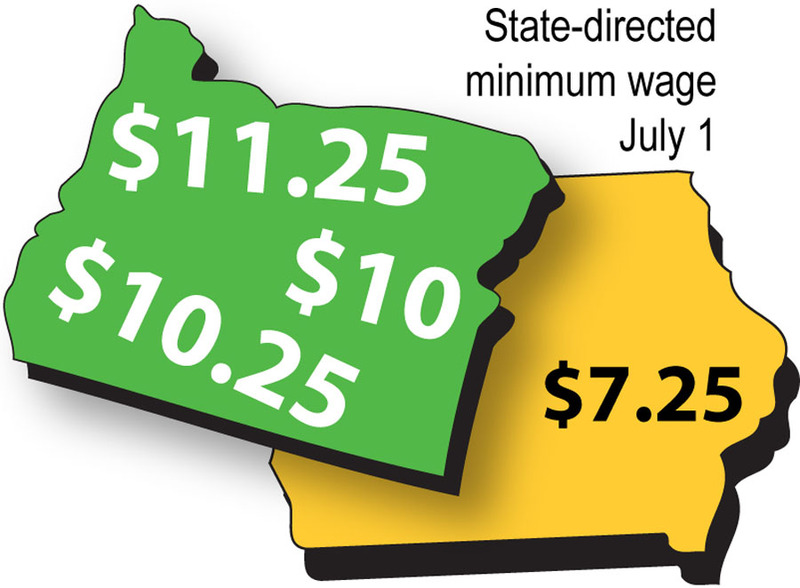 In contrast to Iowa legislators’ calls for “uniformity” no matter how inadequate a uniform minimum wage may be, the Beaver State has embraced the idea of different minimum wages. A 2016 law effectively sets three tiers of minimum wages — one for the Portland area (Metro), one for selected other urban areas (Standard), and one for more rural counties (Nonurban). Currently, the minimums are $9.50 in Nonurban areas, and $9.75 in the Standard and Metro areas. As of July 1, they will be $10, $10.25 and $11.25, respectively. As the Oregon law moves forward, the three tiers will rise in steps each July 1, ultimately to between $12.50 and $14.75 by 2022. A formula will index those rates starting in 2023. 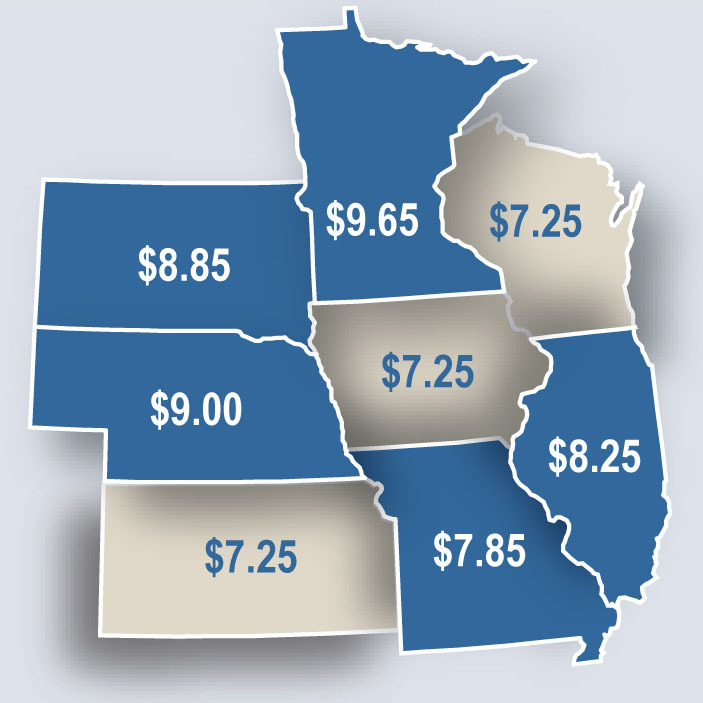 Quite a contrast from Iowa, where we still sit at $7.25 as a statewide minimum, with five counties (Lee County the latest, on Tuesday) choosing to set a higher minimum for their workers. State officials who have balked at raising Iowa’s statewide minimum have retaliated with legislation to repeal the raises and prohibit future such actions, the bill as of Wednesday morning still awaiting the Governor’s almost certain signature. Oregon’s hybrid approach of a state policy setting a small range of local minimums may or may not be optimal, but it does recognize the value of a meaningful state minimum reaching to all corners of the state, and the fact that not all labor markets are the same — they differ by locality. In Iowa, the local option exercised thus far by five counties under their home-rule authority is a middle ground that permits careful judgment when state edicts prevent it. But Iowans could take a lesson from leaders in Oregon, who had the courage to look at the economic challenges faced by their residents, and to address those challenges in meaningful public policy. Just repealing local minimums does not meet that test of leadership.